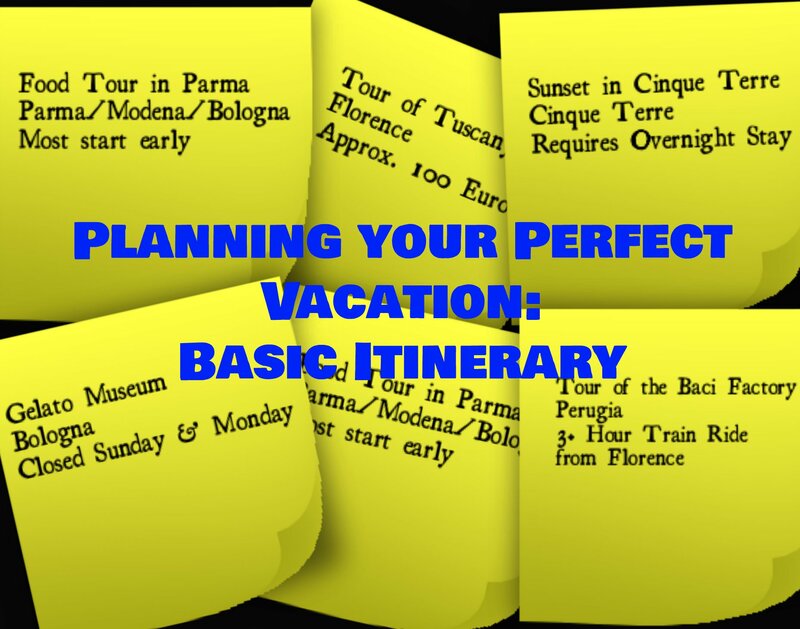 We’re back again with Part 2 of our Planning your Perfect Vacation series! Now that you know your budget along with when, where, and, how long you’re going on vacation, it’s time to start pulling together your basic itinerary. Planning your itinerary should start with a 1,000 foot view. In the past, I’ve wasted way too much time getting into the details too soon. I think the best thing to do is to make a list of what are things that you absolutely must see and do while on your vacation. Don’t worry about what days you’ll do them or in the case of cities, what order you’ll see them in, yet. Once you have your list, it’s time to look at the high level details like what days of the week that museum is open or whether or not there is a train that can get you to the starting point of that guided tour in the morning in time. You might also want to get a general idea of the cost of any tours you are going on so you are mindful of your budget. While I like to organize my trips on excel spread sheet, you may want to use index cards or post-its if you’re more of a visual person. Now that you have all the key facts and major things you want to do, it’s time to start prioritizing them. I like to break my list into three sections: absolutely must do, would love to do if I can, and would like to do at some point but can wait until next time. If you’ll be going to multiple cities, you should now be able to see pretty easily how many days you’ll need to spend in each one in order to do all of your must dos and most of your would love to dos. This is also time to figure out what order you’ll go to each city. At the end of the day, you should have an idea of where you’ll be and what you’ll be doing each day. If you realize you’ll be spending half your time in transit, you might want to rethink you’re itinerary and leave out a few destinations so that you can spend more time exploring and less time traveling. I was totally guilty of this when I was planning my trip to Italy this fall, but after re-looking at the itinerary, I managed to find a much better flow and cut out some extra things that would be great to see, but can definitely wait until next time! Now that you have your basic itinerary planned, it’s finally time to decide on & book your transportation! In Part 3 of the Planning your Perfect Vacation series, we’ll be sharing all our tips and tricks about getting to & from your vacation!